Five people are confirmed to have died after a light aircraft crashed at Kamwingi area in Londiani, Kericho County. The light aircraft was travelling to Lodwar from Mara before it met its fate. 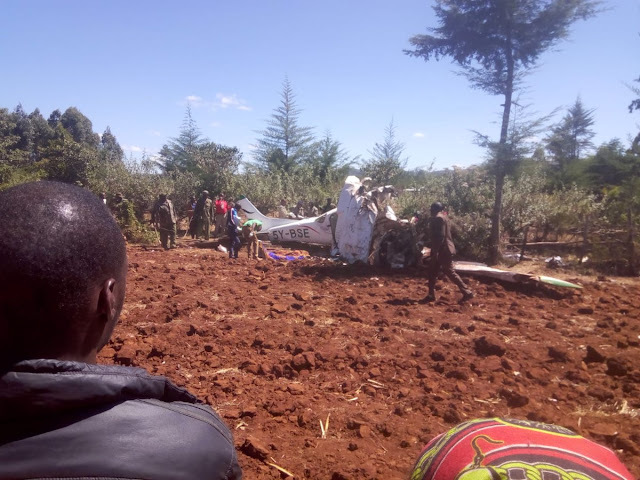 When Daily Updates Africa contacted the police, National Police Airwing Commander Rodgers Mbithi confirmed that all the five people that were occupying the Cesna 206-5-Y BSE aircraft had perished. The victims of the accident have been identified as three men and two women. There were 4 Whites and one Black in the aircraft operated by Safari Link. Kericho County commander James Mugera says emergency teams have been dispatched to the scene of the crash to handle the situation.